The early 1950s, when Robert Rauschenberg launched his career, was the heyday of the heroic gestural painting of Abstract Expressionism. Rauschenberg challenged this tradition, inventing new intermedia forms of art making that shaped the decades to come. Published in conjunction with the inaugural 21st-century retrospective of this defining figure, this book offers fresh perspectives on Rauschenberg's widely celebrated Combines (1954-64) and silkscreen paintings (1962-64). It also illuminates lesser-known periods within Rauschenberg's career, including his work of the early 1950s and that from the late 1960s onward, now compelling and prescient to contemporary eyes. 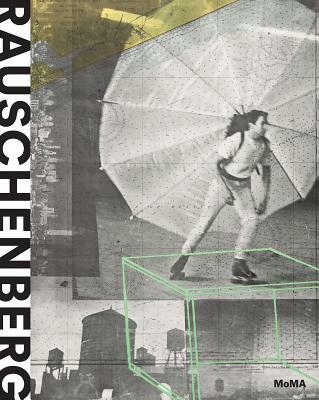 Sixteen short essays by eminent scholars and emerging new writers focus on specific moments within Rauschenberg's career, examining his creative production across an extraordinary range of media. Integrating new scholarship, documentary imagery and archival materials, Robert Rauschenberg is the first comprehensive catalogue of the artist's career in 20 years, an important contribution to American cultural and intellectual history across disciplines and a necessary volume for anyone interested in art of the present day. Over the span of six decades, Robert Rauschenberg (1925-2008) worked in an astonishing range of mediums including painting, sculpture, prints, photography and performance, and became one of the most transformative figures in postwar American culture. Working alone and in collaboration with artists, dancers, musicians and writers, Rauschenberg produced a vast body of work that continues to resonate today.